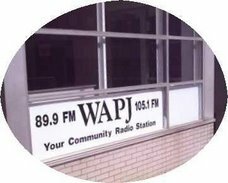 Playlists from music programming on WAPJ...and more! 11- Keep Steady / Asherman Meets Dub Street Rockers / Zion Ready / JumpUp! 12- Steady As She Goes / Asherman Meets Dub Street Rockers / Zion Ready / JumpUp! 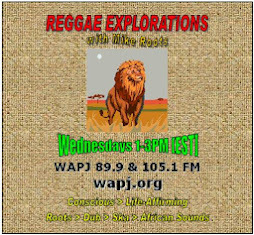 18- Merry Christmas To You And You And You And You / Sheldon Blackman & The Love Circle / Remember Me / Jamoo GoodNews Ltd.
25- Amazing Grace / Troy Anthony / Selah [EP] / Righteous Corner Ltd.
WAPJ, at 89.9 & 105.1 FM in Torrington, Connecticut, is a non-profit, non-commercial, community radio station supported by friends, staffed by volunteers and licensed by the FCC to provide information, education and entertainment to its listeners.